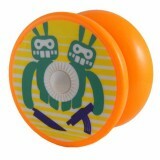 The yoyos in this museum are discontinued, but we've left them here so you can reminisce about the old times! It's also very useful to be able to look up the details of an older yoyo to determine which spare parts you might need for that old yoyo you've got! The Aero-Yo Cold Metal CO2 is the fantastic signature YoYo of Cold Metal team member Alexey Nemc..
Aero-Yo's Affordable Flagship All-Metal Model! One of the best value-for-money offerings availa.. The Aero-Yo Hill and River is another great composite YoYo from Aero Yo! With a plastic core, an..
Meet the Evolution (MTE) Head-on with Aero-Yo! 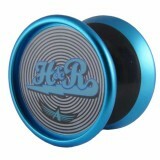 One of the best looking YoYos in the Aero-Yo sta.. The Aero-Yo Storm is a hub-stacked YoYo with an undersized shape that fits right in your hand! C.. The Elder (and Bigger) Brother of the Monster! The Zombie is the elder (and bigger) brother of ..
C3yoyodesign's newest throw is a lower-priced aluminium YoYo that's has many great features of s.. 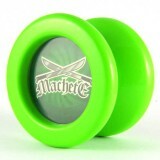 The C3yoyodesign Speedaholic has been called one of the best plastic yoyos ever made! Want to fi.. 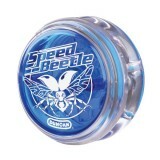 The Duncan Speed Beetle™ is designed for SPEED! 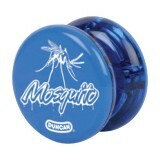 With a lightweight polycarbonate body, th..
Heavy-weight Butterfly with Hub-cap designs! 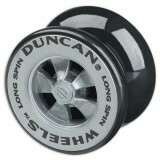 A classic wide/flared shape design, Wheels™ rolls .. 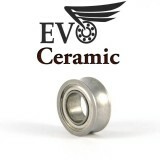 The Evolution in Bearings - the EVO! 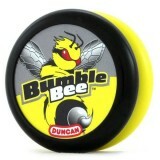 Concave Shape to Keep You Spinning! The third and BEST in ..